HG Logistics News Fall is Here! If you ask an Ohioan why they love living here, you just might hear “for the fall”. It took becoming an adult for me to realize that not every part of the country experiences autumn like we do here in the Midwest. As I was driving to work today, I noticed just a few of the trees starting to yellow on the rolling hills. While everywhere you go, you can get a pumpkin spice latte, pie, candle, body lotion or anything else you can dream of, there is so much more to experiencing the change of the seasons. People from many different states will venture to Ohio and its neighbors to witness the fall colors come alive in the foliage every year. It is a great blessing that I can see it right outside my window every year. Fall is a time to break out sweaters and boots for chilly evenings, football games and apple cider. It is a time to reflect upon the summer fun we shared and plan ahead to building wonderful holiday memories in the moths ahead. I think that there are times when we take this wonderful month for granted, as if it is just another day. I challenge everyone to take some time this fall to truly appreciate it for what it is. Spring gets the reputation for the season of renewal, where everything is new and fresh, summer is the season for fun and outdoor getaways, and winter is jam packed with holidays. Fall is a time for reflection, preparation and enjoying the best of our lives. I hope that no season passes by us taken for granted. 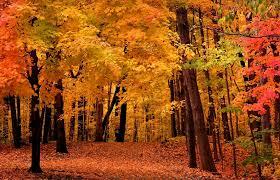 Here at HG Logistics LLC, a third party freight broker in Cincinnati, Ohio, we love all things fall. From decorations to caramel apples and the start of football for our local teams, we see a lot to be excited about. We do our best not to take anything for granted. This includes those who make our wheels turn every single day. HG truly appreciates its employees, drivers, carrier partners and business associates like customers and service providers. We know that without you, we wouldn’t have nearly as many wonderful things to reflect upon when thinking about what we have to appreciate. HG Logistics is packed with people who like to stop once in a while and thank those who make our days brighter…so, thank you! Take some time this fall to enjoy the weather, the scenery and activities, and to appreciate those who make your life brighter! To be a part of a company who appreciates you, as an employee or business partner, please give us a call!